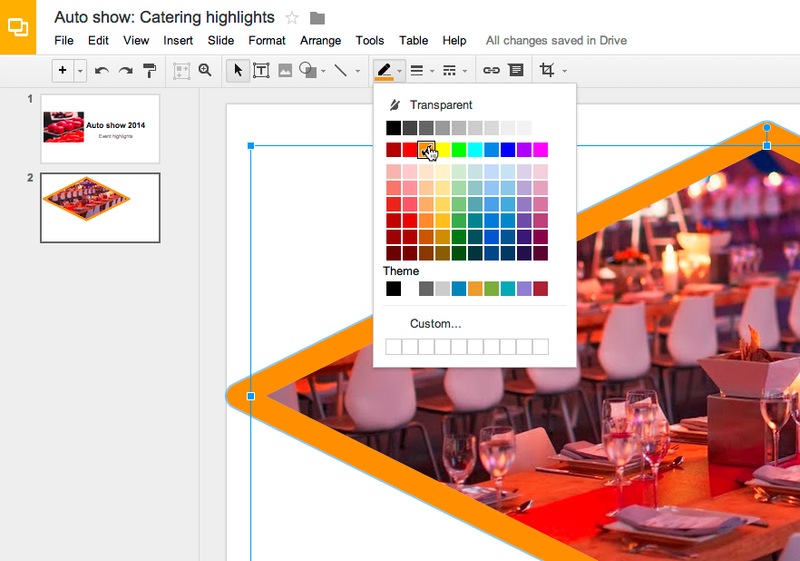 Google just announced image editing inside of Google Slides and Drawings. I'm ecstatic about this as I use lots of images in my presentations and its so much easier to just edit them in the presentation than in a separate app. You can crop, add borders, and even add masks. Check out the full release below. Google Slides and Drawings make it easy for you to tell a story and share your ideas. And a big part of storytelling is the images you use to bring a concept to life. 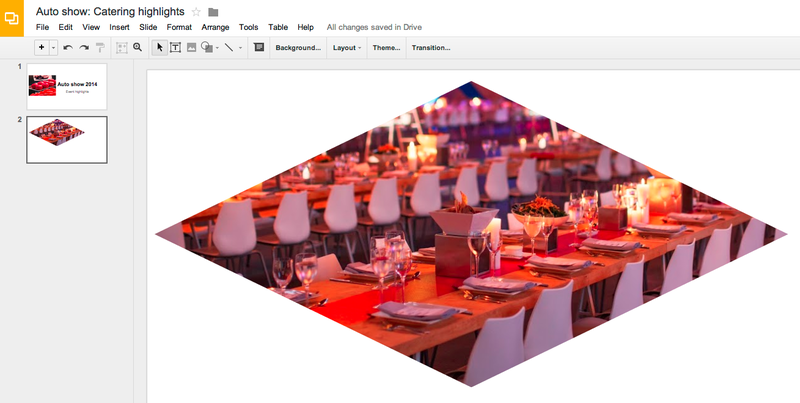 Now it’s even easier to get those images just right, because Slides will let you crop, apply shape masks, and add borders to your images right within your presentation. 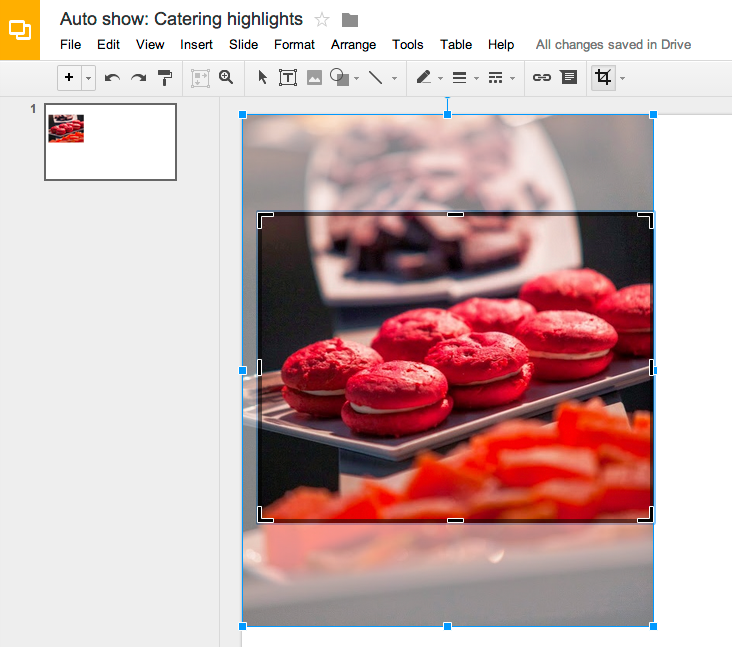 To crop an image, select it and click on the crop image icon in the toolbar. Then drag the corners to your desired crop size and hit enter to make the crop. To crop your image to a particular shape, apply a mask from the pull-down menu next to the crop icon. There are tons of shapes, arrows and callout designs to choose from, like the diamond example below. Add a border to your image by clicking on the line weight icon, and give it a little extra pop by changing the line color. Look out for image editing in Slides and Drawings over the next couple of hours. Here’s to more beautiful presentations and drawings!